What girl wouldn’t want to carry such a pretty makeup bag? Would you like to learn how to make this so you can carry one yourself or give it to your bestest friend for a gift? 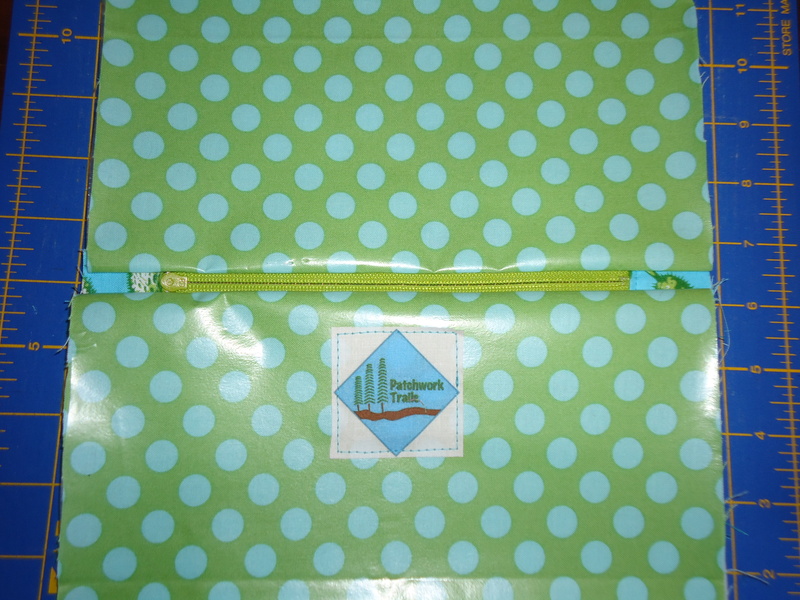 This particular bag has a little secret – fusible vinyl on the inside! That is my little twist on this common bag, so I will show you how to do it. 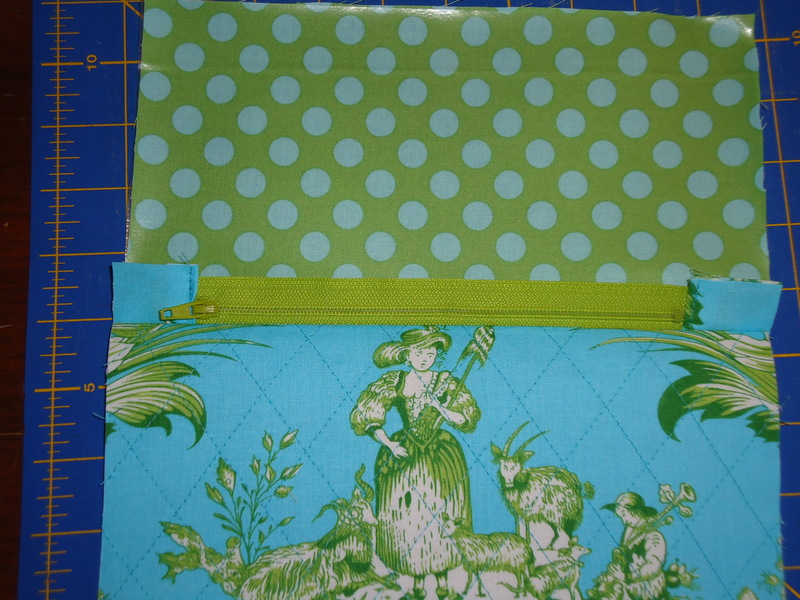 Fat quarter for outside – I used a cute toile print by Jennifer Paganelli. Note: use a 1/4 inch seam allowance throughout this project. 1. 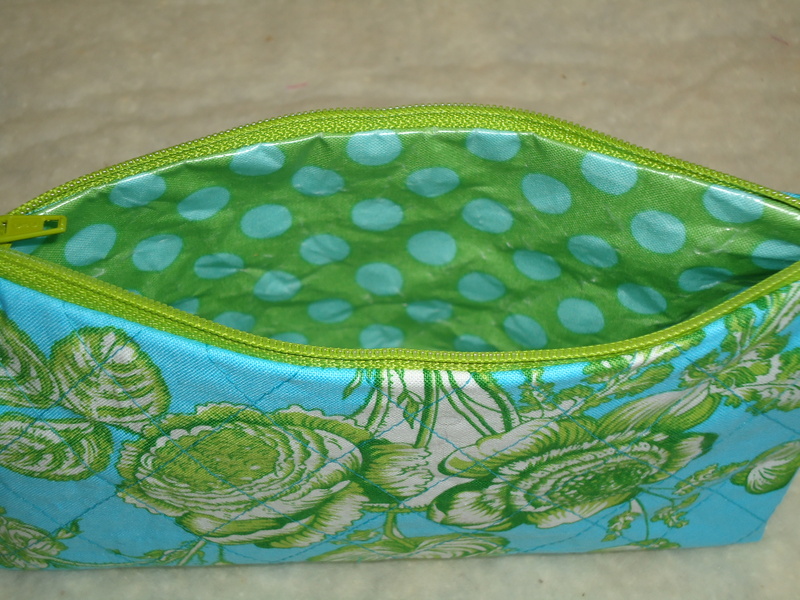 Cut out your outside and lining fabric 9-1/2 inches wide x 5-1/2 inches tall. 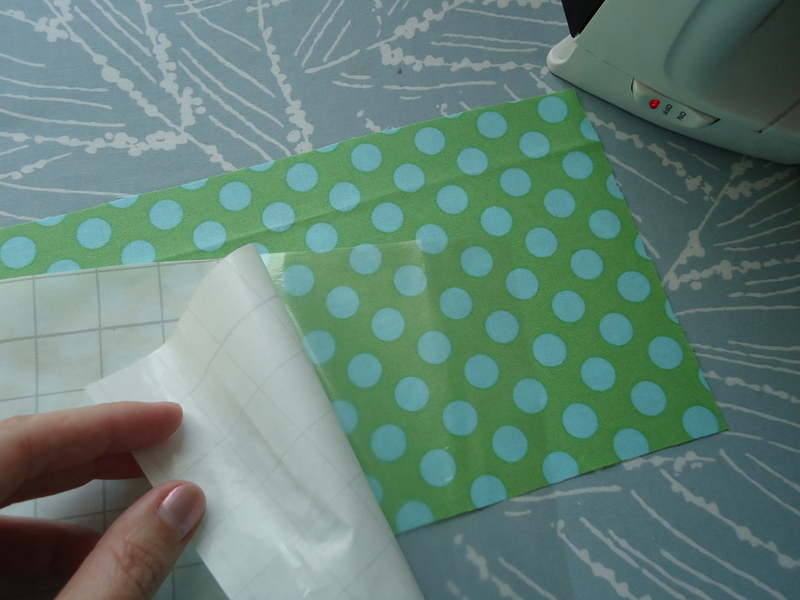 Cut out your batting or interfacing 9-1/2 inches wide x 5-1/2 inches tall. 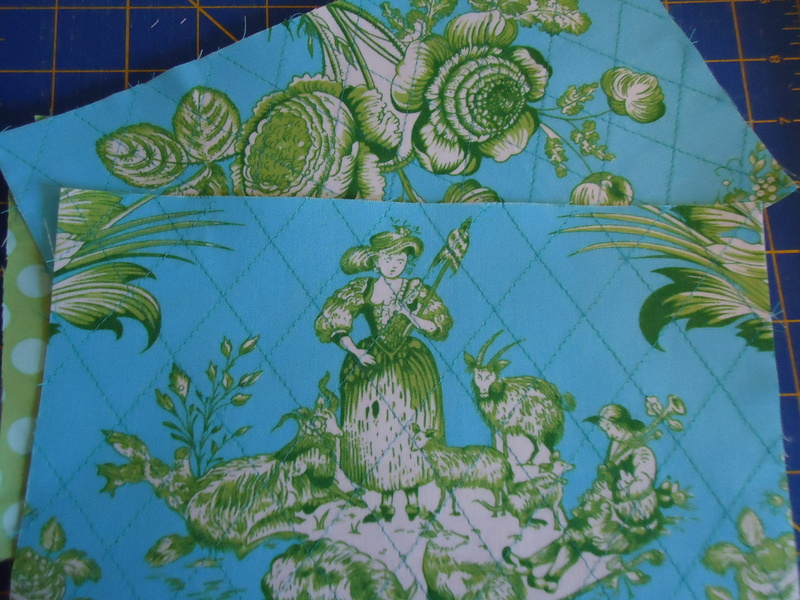 Cut out two pieces of fusible vinyl 9-1/2 inches wide x 5-1/2 inches tall. 1. 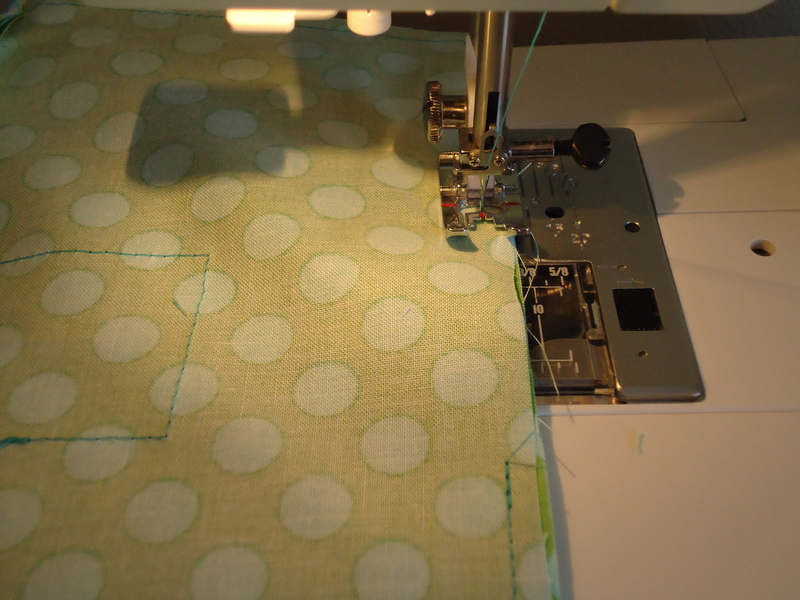 Position your outside fabric over the batting (or interfacing) and quilt. I did a grid of diagonal lines for this sample. My grid lines were a little over 1 inch apart. 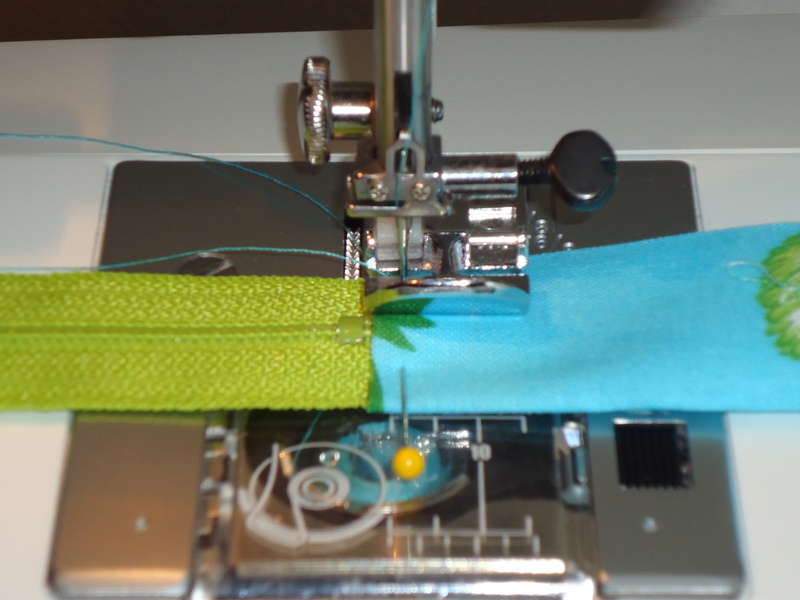 I also used a guide bar, which you can see in the photo below (positioned behind the needle and foot), to help keep the lines straight and even. 2. Make the same grid on the back piece. 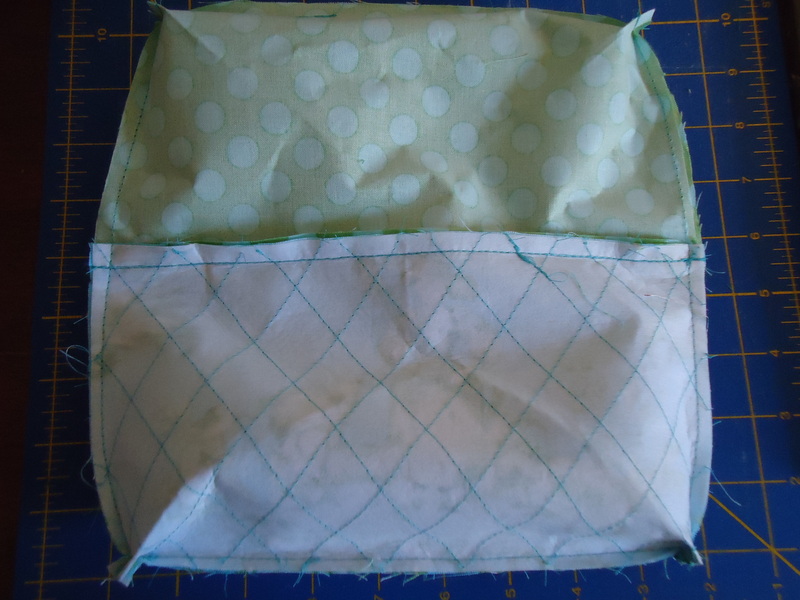 Now, fold in half the long way to create a sort of pocket. 1. Fold outside front piece in half to find the center. Fold the zipper in half to find the center. With zipper pull on left side and face down, position zipper over right side of front fabric, using those fold creases to center it, and pin. 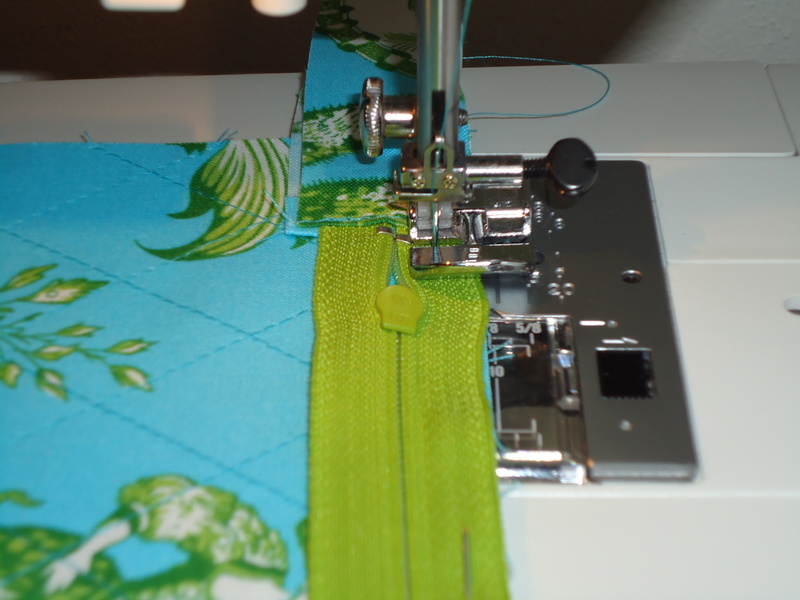 Put a zipper foot in your sewing machine and stitch zipper onto front fabric. 2. Position this piece-in-progress face down over one of a fused lining piece, which should be right side up. 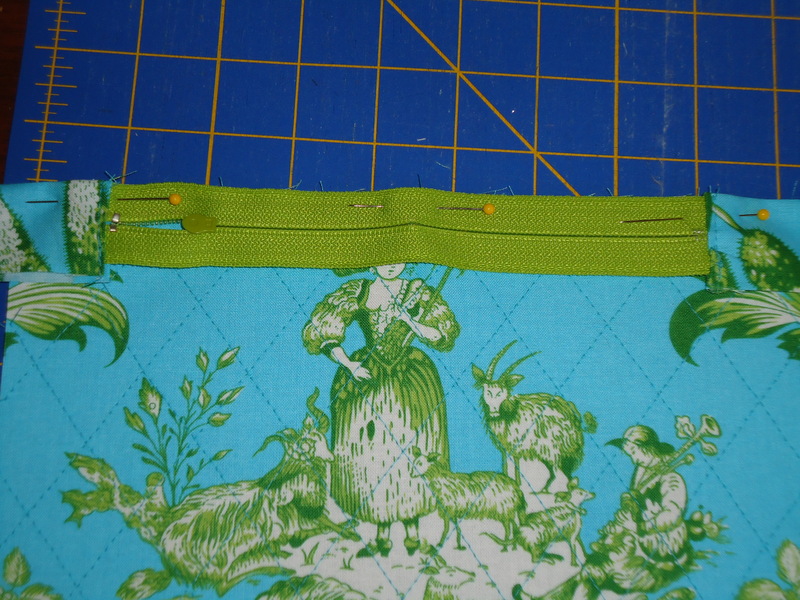 Pin in the seam allowance (so your pin holes are hidden in the seam allowance), and sew along that stitching line. At this point, everything will feel quite slippery because of that vinyl. 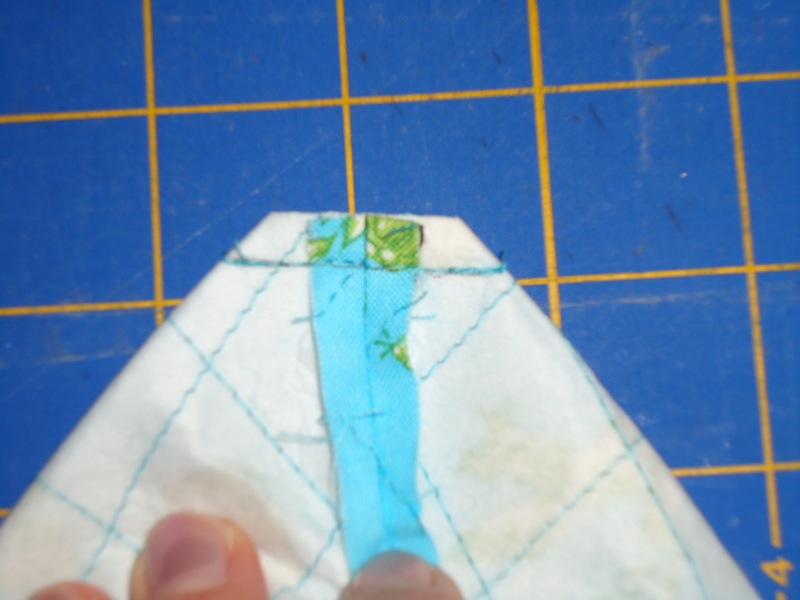 Just hold the pieces together and go slowly to keep an even stitching line and keep the raw edges lined up. 3. Snip off the excess fabric from the tabs. At this point, here is what your piece-in-progress looks like when you open it up. 4. 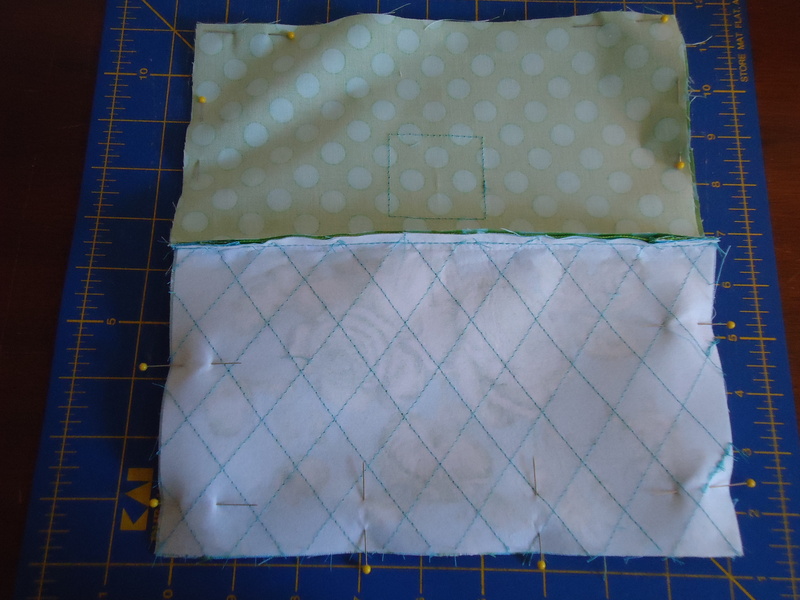 Position your piece-in-progress over the back fabric with the outside fabrics facing each other. (zipper will be face down) Pin and stitch. 5. Align your piece-in-progress over the final lining piece with the lining fabrics facing each other, pin in the seam allowance, and stitch. This is what your piece-in-progress should look like now, with all four pieces sewn to the zipper. 6. Open your zipper all the way. This is very important so you can turn the bag right side out and through the zipper opening when you’re all done with the assembly. 7. Lay out your piece-in-progress so that the outside fabrics are right sides together, and your lining fabrics are right sides together. Pin in the seam allowances, leaving a space in the bottom center of the lining. That is where you’re going to leave a hole for turning the bag inside out. 8. Stitch all the way around the bag, starting at the bottom center of the lining, and ending about 3 inches from your starting point (so you have an opening in the bottom). 1. 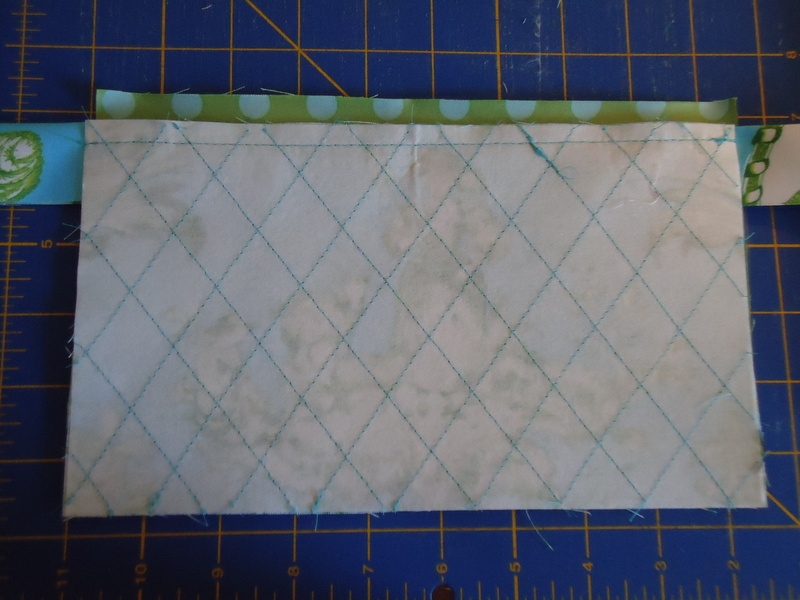 To prepare the corners for a flat bottom, pinch a corner so the seams line up, making the corner look like a triangle. 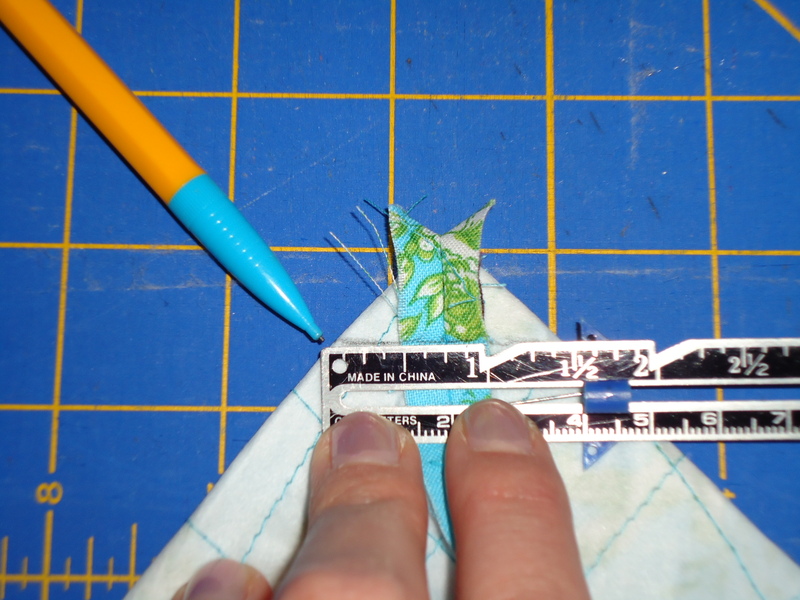 Measure 3/4 inch from one side of the triangle, and draw a line all the way across. Stitch on that line, which will give you a 1.5 inch bottom. 2. 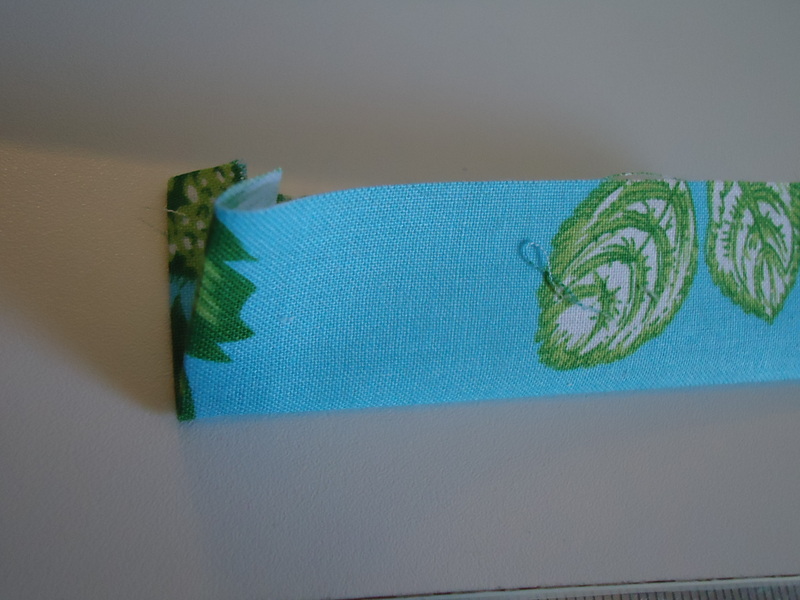 Snip off the corner, leaving a 1/4 inch seam allowance. Repeat for the remaining three corners of your bag. Turn your bag right side out through the opening you left on the bottom of the lining and through the zipper you left open. Hand stitch the opening closed. Fill with your goodies! That’s it! Easy, right? I hope these instructions are helpful, and I hope you try making at least one of these fun little zipper bags! I would love to see a picture of your version. If you’re interested in printing out this tutorial without using a lot of toner, I made a PDF with just the step-by-step instructions and one photo for reference. Please don’t make this bag to resell, whether in your shop, at your local craft fair, or any other place. 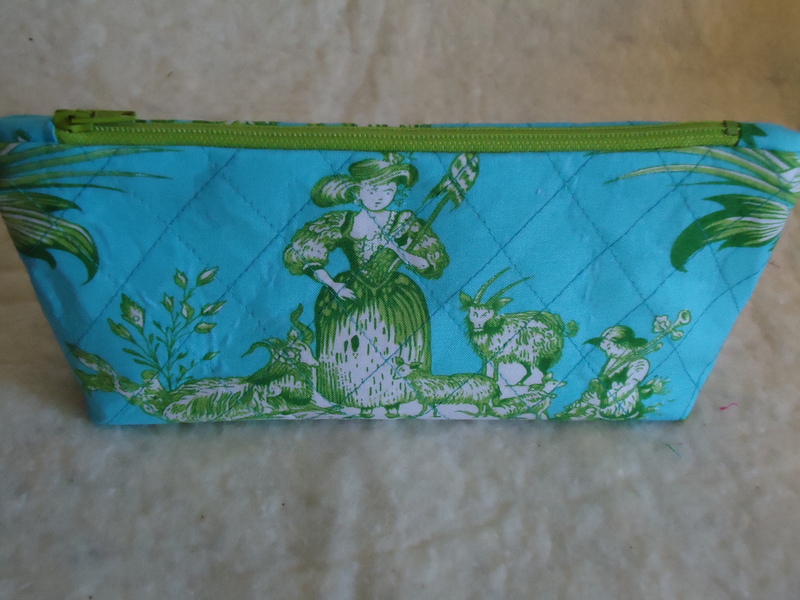 Edit: Here’s a little plug for my shop to let you know I added this makeup bag and another pretty pink toile bag to the New Products section of my shop, in case you need a cute little gift but don’t have the time to make one yourself. I’m always happy to take a custom order too! Thanks for doing the tutorial. 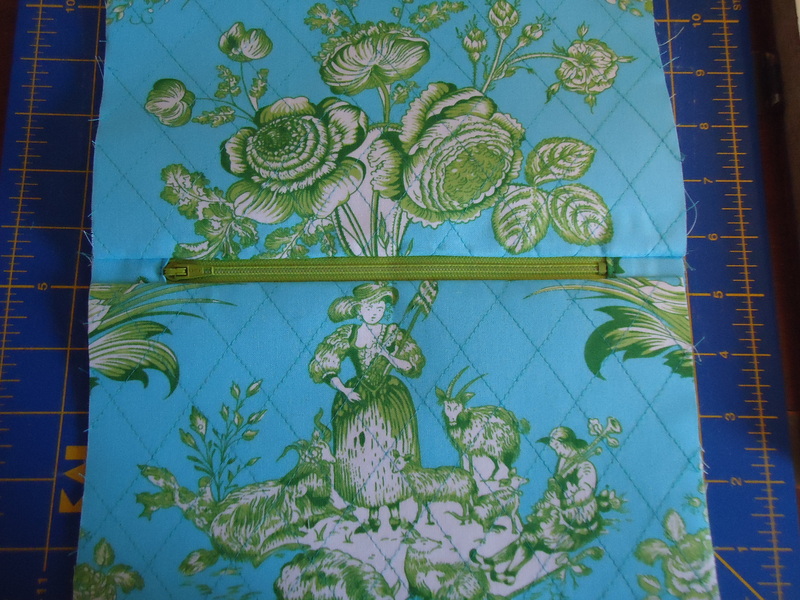 Love the fabric you have used,Toile material is timeless. Those little makeup bags are so cute!!! Will you be selling them? Thank you Terri! I may have to add a few of these to my Christmas gifts project list! Cute! Cute! Cute! Great tutorial! It would be good for makeup, but also having the vinyl inside would be fantastic for art supplies, too. Very well written tutorial. I love that this pouch has a flat bottom. I did not know there was fusible vinyl! Love it! That’s a beautiful makeup bag! 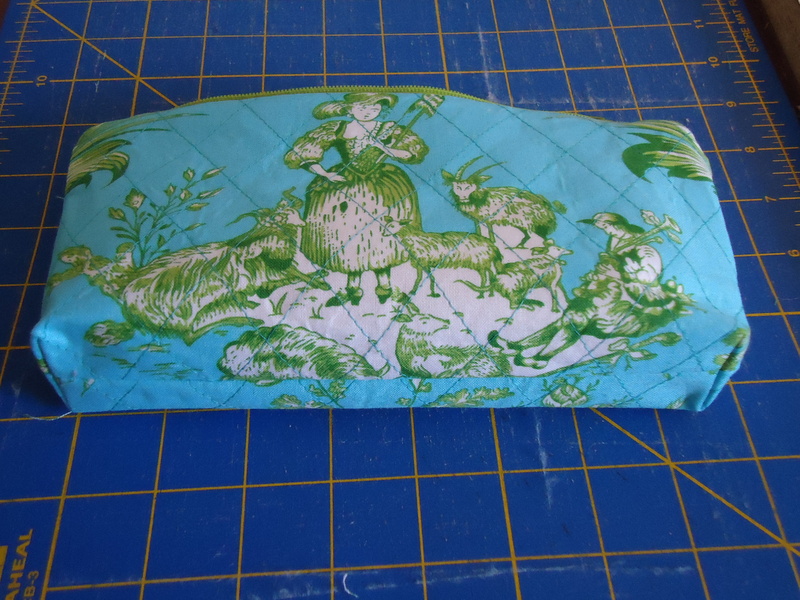 I wish I had a sewing machine here in PA… left it in CA~ I’d totally want to try this. You make it seem easy! OMG I love it. I have been looking for something like that for a while. I will absolutely have to make 1 or 2 and send you pictures! I needed this like, three days ago! 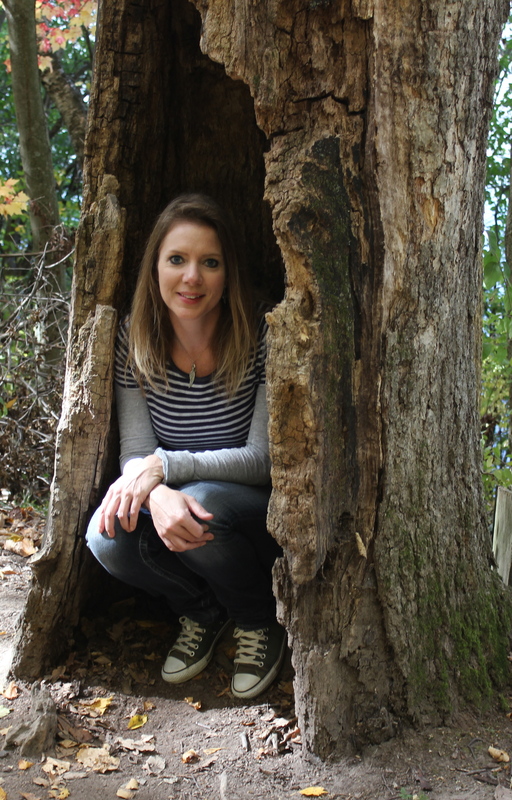 I’m going out of town (momentarily-gotta love last minute blog checks!) and had to use an old, yucky make-up bag! Great tute, I can’t wait to try it out when I get home!! thank you Terri! I really, really need a new makeup bag. This may be the wakeup call I needed. great tutorial Terri! 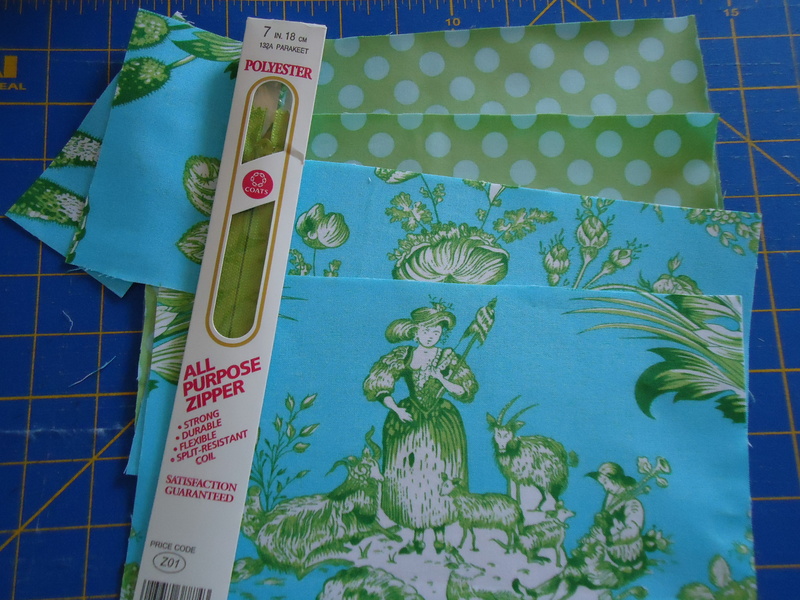 Love that jennifer p fabric! fabulous! Excellent and well written tutorial. I have been wanting to make a bag but I didn’t know how to do the zipper. Thank you so much!! I like the fabric placement on your bag. Really cute. Super cute…and thanks for sharing the process! thanks for the pattern….thinking of little crayon bags for our grandsons who we will be flying with us on a 10 hour flight. Hello Terri! Thank you for great totorial! Your makeup-bag is lovely and this tutorial very usefull! I shall defenetely make one…or more! I love it! I wish I could find the iron on vinyl in my local Jo-Ann’s, but I never can find it!! I love that you put that on the lining. It’s so perfect for a make-up bag. Thanks for sharing your tutorial. What a wonderful tutorial Terri! Good pictures and easy to follow instructions! I like the tweeks to your blog as well! The patch for your bags came out great! Take care, enjoy your weekend! Thanks for sharing Terri! I’ll have to get some of that fusible vinyl, I like the idea of being able to use any fabric I want. Besides the new vinyl fabrics are so expensive and I haven’t had a need to sew with it so far, but this is adorable. Thanks for the tutorial Terri! I really like the prints you chose for your bag. Here you go agin. Another great bag. Just love them and your tutorial is great. Maybe next week while in Branson, Mo. the girls and I will have to make this. Thankyou so much. What a wonderful blog friend. i love your makeup bag, terri! thanks for a great tutorial! i need to try those little tabs at the ends of my zippers. they make it look so neat and clean. Hi Terri! I got my bag today! I love it!! Thank you so much for doing this little swap with me. I enjoyed it too… hope you like your book as much as I like my bag! Thank you for naming the type of vinyl you used! I left Joann’s so frustrated today because I could not find what I needed. Now I know exactly what to look for–love the tutorial! I am planning to make these as Christmas gifts and put a few of the recipent’s favorite items inside. Is there suppose to be a raw edge at the zipper on the inside of the bag , when it is finished, mine does. Thanks much for the tutorial! I’m going to try one of these bags. I like the roomier bottom and the vinyl inside, plus the quilting. Fellow Wisconsinite here, about 40 miles northeast of you. Found your blog via a link at Dotty Jane’s. I just made some things with her hand-dyed fabrics and came to check yours out as well. You’ve made some beautiful things! What is pictured in the tutorial are pieces of scraps for those tabs. You can cut two pieces of either fabric as a square at 2.5 inches wide x 2.5 inches long or as a rectangle at 2.5 inches x 3 inches long. They don’t have to be precise pieces for this step because the ends are going to get trimmed and buried in the seam allowance. 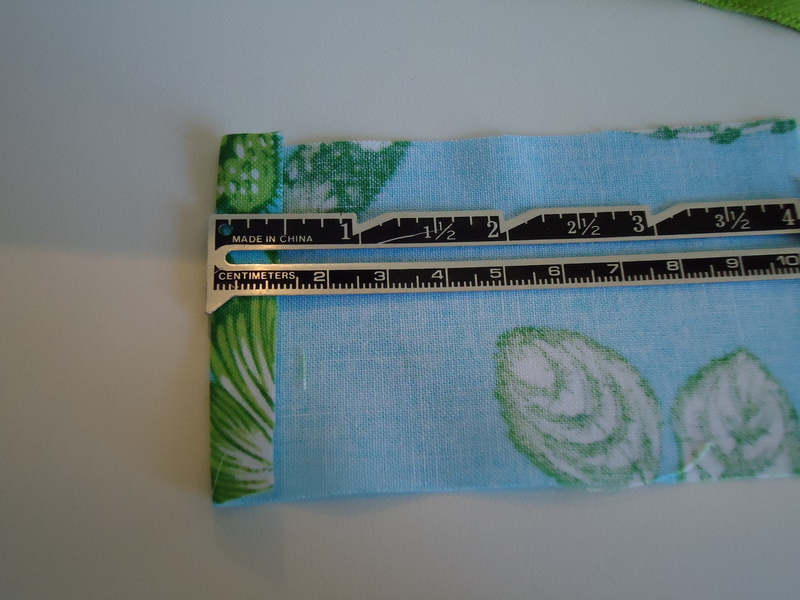 If the fabric you use for the tab is 2.5 inches by 2.5 inches, simply choose one side to fold over 1/4-1/2 inch and press. Then fold that tab in half so the folded end creates a little pocket for you to insert the zipper end inside. 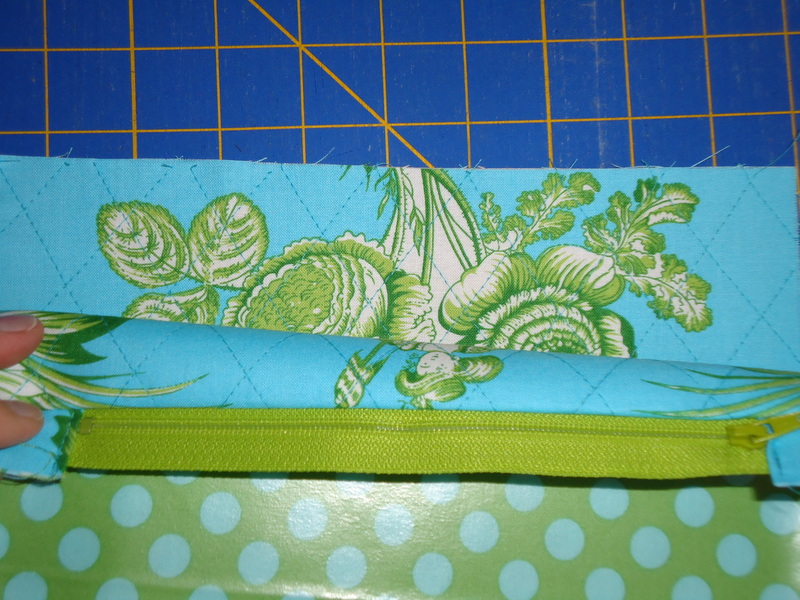 Now you have a nice folded edge to top-stitch to the zipper end. The rest of the fabric remaining for that tab will get buried in the seam allowance and trimmed to reduce bulk, so it really won’t matter how long the tab is, as long as it’s enough to cover the fabric end of the zipper. I think I am going to make my daughter a set of different sizes for her Christmas Present.. I love this tutorial… THANKS! Thanks so much Lisa! It’s really a simple pattern, so I hope you have fun making a set. Makes my day to hear you like my tutorial! Absolutely! That’s a great idea. Teaching 13-year-olds anything sounds challenging, so I hope this helps you keep their attention and appreciate learning how to sew. I would love to hear how it goes, and maybe see pictures if you get a chance to take some. Wonderful tutorial, love the fabric, no chance of getting that or fusible vinyl here in South Africa so I have embroidered mine on my embroidery machine and it looks fabulous. Well, I finally got around to making one of these this morning. Will post about it next time with a link to you. I had some of that vinyl stuff in my stash, I must have bought it about 15 years ago, It still worked. Thanks so much for this little bag pattern. So happy to hear you liked this tutorial! I think it’s such a handy project to make. this is awesome! Bit what kind of material did you use? I’m beginners and can’t think of the right fabric to use. Thanks Nina. 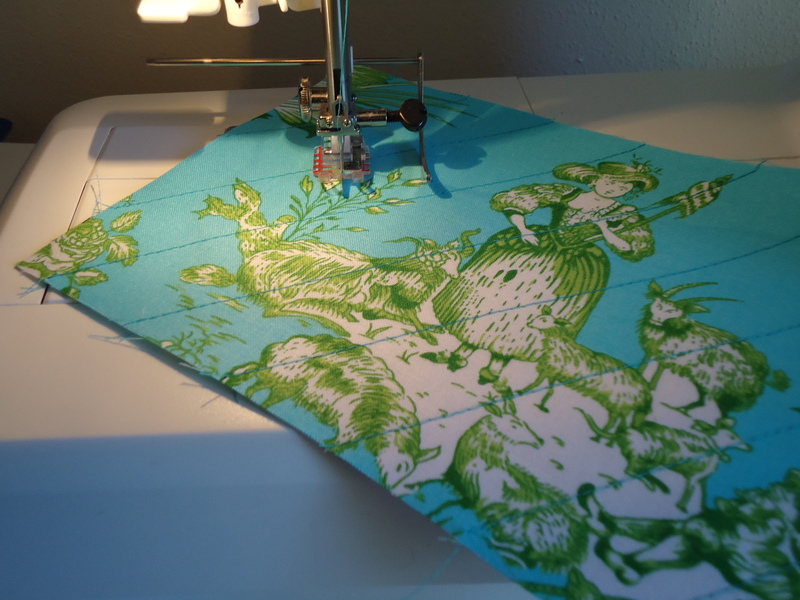 I normally using cotton fabric, along with either batting and/or fusible interfacing to make the cotton fabric studier. Sometimes I use home decorator-weight fabric. Really, you can use any fabric, but you might want to fuse interfacing to it if it’s not stiff enough to hold a shape. Thanks so much, just made one! Great to hear you liked the tutorial, Judy! Would love to see a picture of your new makeup bag.